Mozilla is almost ready to unleash its new vision for Firefox onto the world. Called Firefox Quantum, this is designed to see Firefox reborn as a serious challenger to Google Chrome. Firefox Quantum is faster, more efficient, and better looking. And the beta is now available for you to try. Google Chrome practically owns the web browser market Which Browser Is Best? Edge vs. Chrome vs. Opera vs. Firefox Which Browser Is Best? Edge vs. Chrome vs. Opera vs. Firefox The browser you're using right now may not be the best one for you. The browser arena changes so frequently that your conclusions from comparisons made last year may be completely wrong this year. Read More right now. Google’s ever-impressive browser boasts a 55 percent share of the market, with Safari a long way behind in second place. Firefox is, well, even further behind. Which is why Mozilla has pulled out all of the stops for Firefox 57. According to the Mozilla Blog, Firefox 57 offers such vast improvements over previous versions that it needed a new name. Which, if you hadn’t already guessed by now, is Firefox Quantum. This isn’t an incremental update, but a new version of Firefox built from the ground up. And it shows. Firefox Quantum has been improved on the surface level and under the hood. It features a rebuilt user interface called Photon, with a modern, minimalist design, square tabs, and smooth animations. But it’s under the hood where Mozilla has really gone to town, with Quantum using multiple CPU cores, and a new CSS engine built in Rust. With Google Chrome being the browser to beat, Mozilla is making much of how Quantum beats Chrome across various metrics. 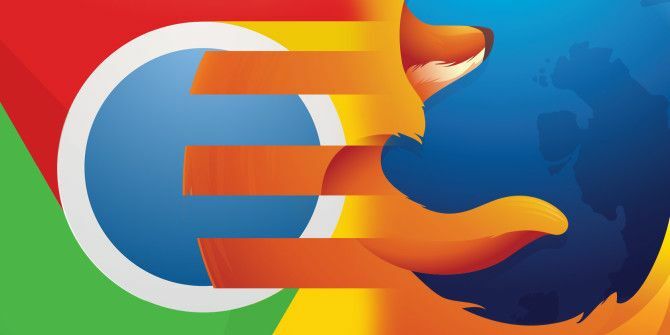 Mozilla is particularly keen to point out that when comparing the two, “Firefox Quantum is often perceivably faster” than Chrome, all “while consuming roughly 30% less RAM”. Firefox Quantum is set to launch on November 14, with anyone already using Firefox being automatically upgraded to it. However, if you’re keen to try the beta version of Firefox Quantum you can download it right now on desktop (Windows, MacOS, and Linux), on Android, and on iOS. I’ll be honest and admit that looks count for little with me when it comes to browsing the web. I don’t care whether tabs are rounded or square, or how much graphical razzmatazz has been added for effect. I want speed, efficiency, and features I’ll actually use. And on first viewing Firefox Quantum looks to be offering all of that and more. Which means Chrome may have some competition 7 Reasons to Switch From Google Chrome to Mozilla Firefox 7 Reasons to Switch From Google Chrome to Mozilla Firefox Google Chrome is the most popular web browser, but is it right for you? Here's why you might prefer Mozilla Firefox. Read More . Which web browser are you currently using? Why do you favor that browser over the competition? Do you already use Firefox across all of your devices? What do you make of Firefox Quantum? Are you likely to give the beta a try? Please let us know in the comments below! Explore more about: CSS, Google Chrome, Mozilla, Mozilla Firefox. It was very fast at first. Not sure if I just got used to it. I had problems about it being buggy, freezing. I had to switch to a different window and switch back to make it work again. It is promising, and the bugs I was experiencing were really to be expected for the beta version. I really like it a lot. Firefox Quantum disabled my add-ons without any warning. Now have multiple FF running in Task Manager. Now have higher CPU%. How do I restore back to Pre-Quantum? *Just* downloaded it after reading this article. In fact I'm using it to port this comment. I am loving it so far! I definitely have noticed an improvement in loading times. Great work Mozilla!! I have also been using it now for about 48 hours. It is insane! I never thought that I would see the day but I think I am going to switch back to Firefox from Chrome after probably like 10 years or something. It is lightning fast, almost insanely fast! It is also much lighter on my Windows PC then Chrome. It is an aging Lenovo PC and after leaving Chrome open for a while it will normally start consuming more RAM and eventuallly slow it down. Quantum has been running like crazy and barely even budging the system. I am extremely impressed. Once development picks up I can see most of the extensions get upgraded to work (actually a suprising lot of them already work with it). 48 hours with quantum Beta. It's fast, very fast. I'm struggling to believe such a dramatic improvement. Lots of sensible design improvements. Has to be the best looking browser (tho I don't know Safari). I'm a heavy user of extensions. So how did I fare? I've filled just about all the holes - LastPass is replaced by bitwarden (which is excellent), TabMix Plus isn't available but I've combined a few others so I'm nearly there. I look forward to trying it, but I'll wait for the release. I have too many legacy extensions that won't work in Firefox 57. Hopefully they'll all get converted by November. It will also be interesting to see how many Chrome extension developers port over to Firefox, since they'll be using the same API (with some differences). I stopped reading at '"modern" minimalist interface'. What is so good about not having an interface?